While cars like the Yaris GRMN, new Supra and GR Super Sport concept are stealing the headlines, perhaps the more exciting news from Toyota's performance renaissance is the pyramid of GR (Gazoo Racing) hierarchy. These will be followed by regular production Yaris Y20 models that will be available through the 2019 model year. 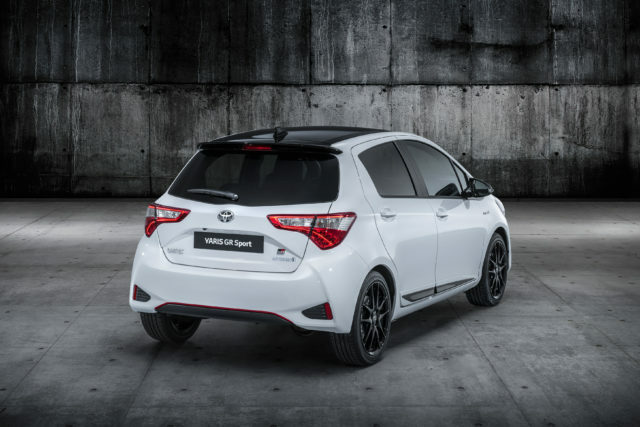 Inspired by the limited-edition GRMN hot hatch, the GR Sport gets uprated suspension, stickier tyres and a more aggressive look, though its underpinnings are based on the decidedly un-sporting Yaris Hybrid. The GRMN-inspired modifications are focused on the suspension, giving the auto engaging handling and responsiveness. It uses Sachs Performance shock absorbers similar to those fitted to the GRMN and a solid anti-roll bar for added rigidity. The GR Sport sits on exclusive black 17in alloy wheels, which are fitted with the same 205/45 R17 Bridgestone Potenza RE50 tyres as the Yaris GRMN. The ride height, meanwhile, has been dropped by some 11 mm compared with that of the standard Yaris, while the gap between wheel and body has been cut by 18 mm. 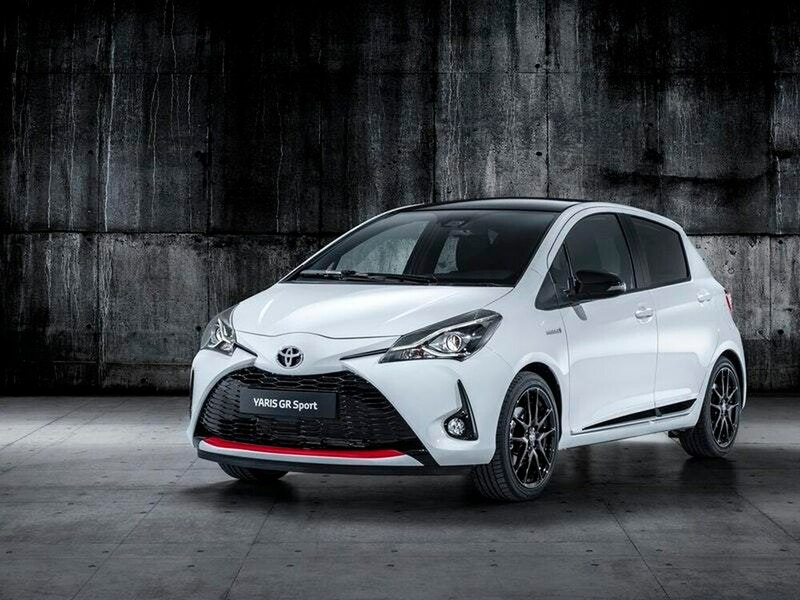 In addition, Toyota also announced the new Yaris Y20, a new special grade created to celebrate the 20 anniversary of the best-selling city vehicle. Care has been taken to limit the increase in vehicle mass to less than 5kg by restricting the model's feature options. The exterior has been updated with a black roof, a rear spoiler, piano-black door moldings, a black honeycomb grille with matching door mirror housings and front fog lamp surrounds. Although the new GR Sport model doesn't gain any additional power (the five-door model will be offered with the standard 1,5-litre hybrid powertrain used in Europe), its suspension has been suitably upgraded, which Toyota promises lends the hatchback "engaging handling and responsiveness". GR logos have also been added to the digital instrument cluster. The interior has been sportified by the addition of GR-branded "Ultrasuede" seats with contrast stitching, a smattering of satin chrome trim and a steering wheel borrowed from the GT86. As a finishing touch, black GR-branded carpet mats with silver edging are fitted.